Fantastic Four director Josh Trank had the perfect response to a social media post claiming that superhero movies don't fail at the box office. Captain Marvel just opened over the weekend and now has the record for highest grossing female-led superhero movie debut of all time. The stellar opening weekend total brings the Marvel Cinematic Universe's combined box office gross after 21 movies to $17.98 billion, which is huge. Warner Bros. and DC Films just had a huge success with Aquaman, which crossed the $1 billion mark. So, it would seem that it is a great time to be making superhero movies. Writer/director Joseph Kahn posted a tweet this morning claiming that, "No superhero movie fails." Obviously, that is an arguable statement, but it does bring up a good point about today's box office and the superhero movie genre. However, Fantastic Four director Josh Trank has some personal experience with a superhero big screen adaptation not doing so hot at the box office and he had the perfect response to Kahn: "Hold my beer." Josh Trank just roasted himself pretty good on social media. Fantastic Four only made $56.1 million at the domestic box office during its entire theatrical run. Captain Marvel nearly tripled that in a single weekend. Trank's movie ended up doing $167.9 million globally, which was not a blockbuster success, especially considering that the movie cost about $120 million to make. 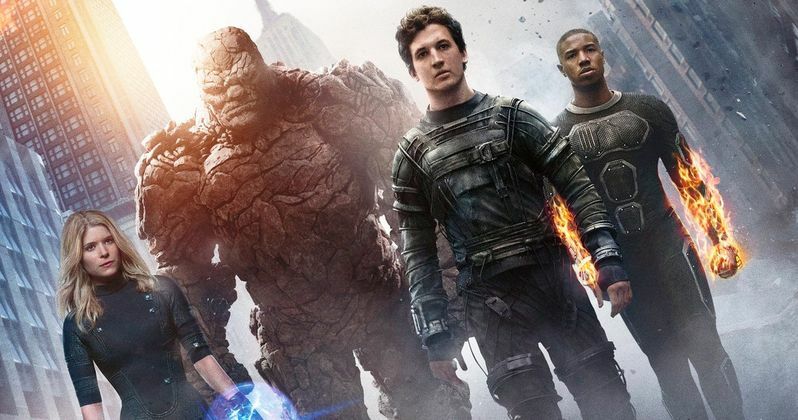 According to sources, when all was said and done, the 2015 Fantastic Four movie lost around $100 million. In comparison, Captain Marvel just made $455 million worldwide over the weekend. As Josh Trank points out, sometimes superhero movies do fail. That was four years ago, and it has been reported extensively that Trank battled with the studio behind-the-scenes. With that being said, a lot of the blame was placed directly on Trank with many sources claiming that his behavior on the set was erratic and that he was difficult to work with. Some attribute these reports to the reason that the Boba Fett movie with the director attached was canceled. The standalone Star Wars movie was almost officially announced with Trank as director, but it was canned indefinitely. Disney and Lucasfilm even reportedly had a teaser reel ready to show. In the end, superhero movies can and do fail. Justice League was not a complete and utter box office failure, but it certainly did not live up to the hype and the early estimates. Like Fantastic Four, the DC team-up movie was plagued with behind-the-scenes problems, which ended up overshadowing the completed project. With that being said, there will be more movies in the genre to fail in the future. At least Josh Trank has a good sense of humor about his situation four years after the fact. You can check out the perfect response to the superhero failure argument below, thanks to Josh Trank's Twitter account.